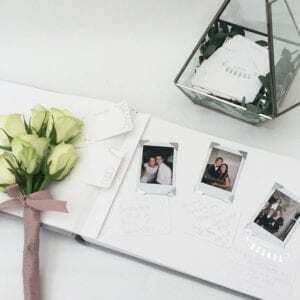 Wedding guest books are a time-honored tradition that allows your guests to share their happy wishes with you as a way for you to look back at all the people who shared in your big day for years to come! 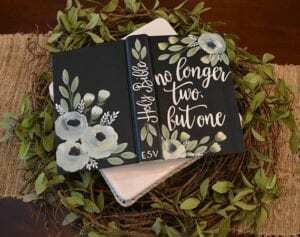 Many couples choose to stick to the traditional route, but guest books are a great way to inject some uniqueness into your day and show off your couple style. 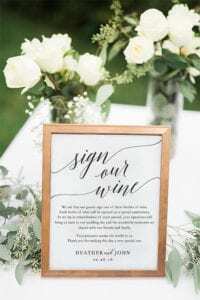 Today I want to share five unique guest book ideas that can help you make your wedding truly something to remember! Love makes the world go round! 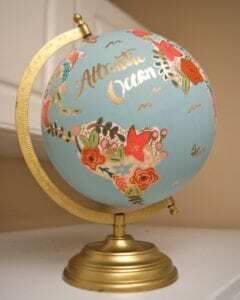 Globes are a great option for a guestbook and can make beautiful decor piece for your future home. Guests can write their wishes and you can mark your journeys a couple, talk about win/win. If faith is a key to your marriage, a Bible can be a great option. 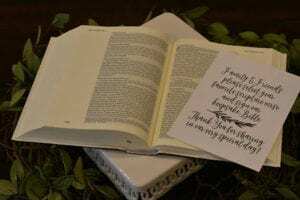 Guests can highlight their favorite verses and write words of encouragement and love. If you know someone crafty, squares of fabric would be a great option. 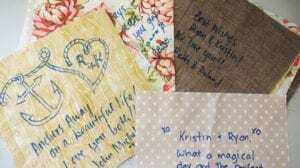 For this idea, guests would write their well-wishes on pieces of fabric with special fabric pens. Then they can be combined to create a beautiful quilt. Then you can snuggle up under the words of your closest friends and family. They say a picture is worth a thousand words, so why not capture the image of your guests on this important day. Guests can snap a pic and write a sweet message. Then for years to come to you can not only read their words but see your good wishes too! We have used this in quite a few weddings here and here and here. This great idea came from one of our very own brides Marion! She placed wine bottles with custom number labels to serve as table numbers. Then she welcomed her guests sitting at that table to sign each bottle and offer words of advice. 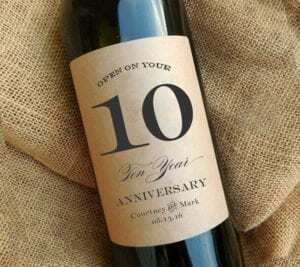 The twist – the number on the bottle will the year the couple opens the wine! Such a great way to revisit your wedding year after year. 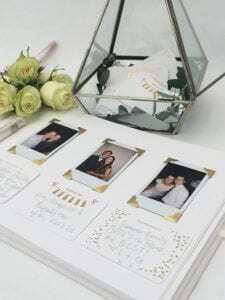 I hope these ideas can help you as you choose a guestbook for your wedding day. Don’t be afraid to get creative and dream big. You don’t have to settle for a book that will just sit on a shelf and collect dust. If you want more ideas and help planning your wedding, contact Magnificent Moments Weddings! We would love to help you throughout the planning process.